I called the 800 number at 1-800-289-6636 and requested an o-ring kit for the faucet (think ours is model 7730). They sent it out no charge in about 10 days. 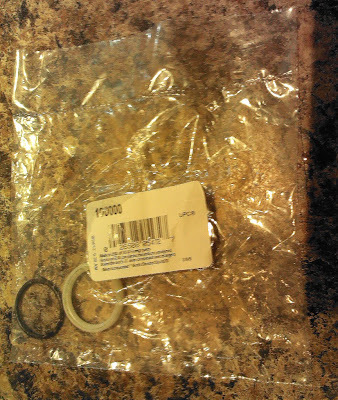 It included the o-ring that was leaking, the plastic bushing that keeps the faucet steady, and a packet of silicone grease to lubricate it when putting it back together. To keep from marring or scratching the faucet when I took it apart I used a pair of strap wrenches that I bought at Menards ($3 for the pair). 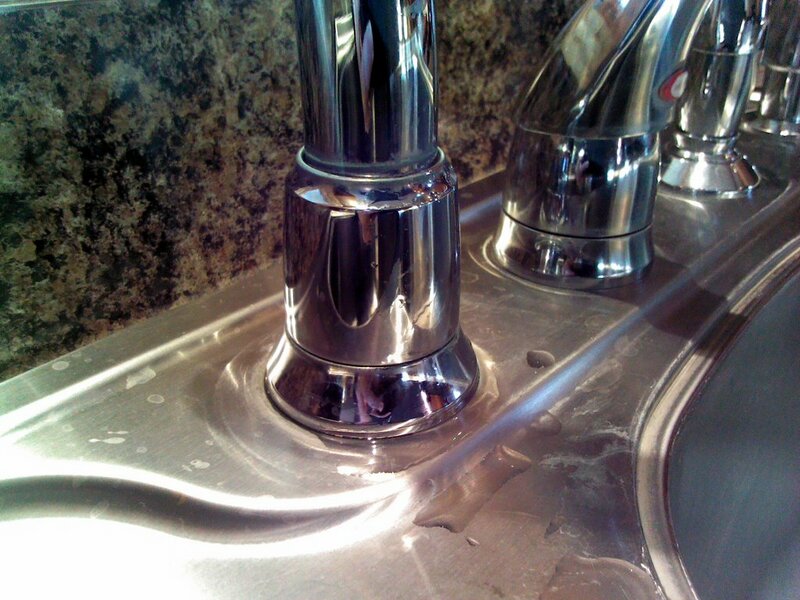 They worked great since the calcium build up had made the faucet threads very tight. 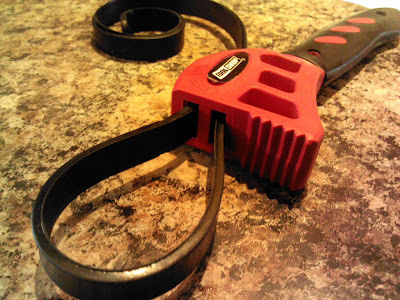 Using the strap wrenches, I could get a grip on the chrome, without scratching the chrome surface. 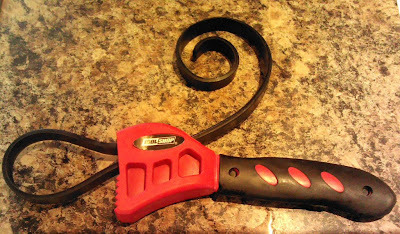 When I first removed the nut, I needed to use both the small and large wrench to loosen the spout nut (#26) without spinning the spout deck ring (#30). 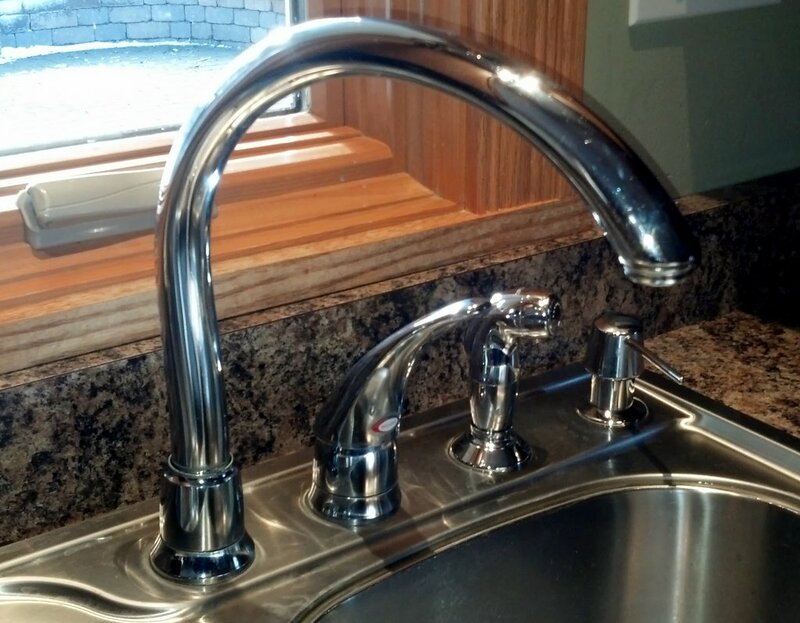 The rest of the faucet repair process is shot on video (below). It literally took me about 5 minutes once I had the free replacement parts from Moen to fix the leaky faucet. 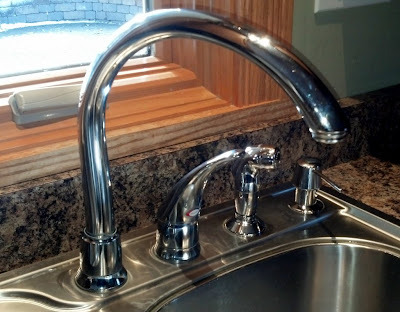 I hope it helps you fix you leaky high arc kitchen faucet, with a minimal amount of effort and cost. After replacing the o-ring and plastic ring the faucet felt pretty much like brand new. On this same Moen faucet I needed to replace the cartridge. It had started to drip a little and it was getting hard to move the sigle handle. If you have a similar problem check out my blog and video on replacing the Moen 1225 cartridge that's in the main handle of this faucet. It also pretty simple to do yourself. Just got off the phone with them! Rachel was very nice and said the part would be out in about 10 days! Thanks for the great page. Great stuff, many thanks!!! Only difference for me was mine was leaking constantly so didn't have time to wait for the part to come in. Just took the rings off, checked for tears and cracks, cleaned everything real well and then put lubricant on. Tightened everything back up and no leak. worked like a charm! thanks for the video in 5 minutes no more leaks! Thank you! My in-laws have this - and now we can fix it. Can you pl put video for the Cartridge replacement for the same faucet.